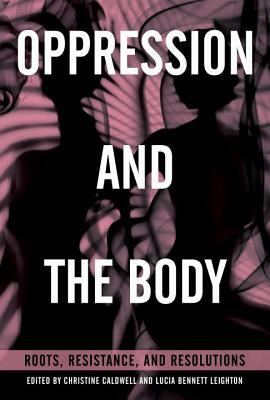 Asserting that the body is the main site of oppression in Western society, the contributors to this pioneering volume explore the complex issue of embodiment and how it relates to social inclusion and marginalization. In a culture where bodies of people who are brown, black, female, transgender, disabled, fat, or queer are often shamed, sexualized, ignored, and oppressed, what does it mean to live in a marginalized body? Through theory, personal narrative, and artistic expression, this anthology explores how power, privilege, oppression, and attempted disembodiment play out on the bodies of disparaged individuals and what happens when the body’s expression is stereotyped and stunted. Bringing together a range of voices, this book offers strategies and practices for embodiment and activism and considers what it means to be an embodied ally to anyone experiencing bodily oppression. LUCIA BENNETT LEIGHTON, MA, LPCC, R-DMT, has a master’s degree from Naropa University’s Somatic Counseling Psychology program. She has been writing and researching in the field of somatic psychology for several years and considers her exploration of oppression and embodiment the cornerstone of her career as a professional counselor; she thus plans to continue writing and researching on the topic for many years to come. Currently, she is a school-based therapist as well as an eating disorder therapist and uses a body-centered, social justice–based approach to counseling. Bennett Leighton’s research and writing has been published in JAMA Psychiatry, Journal of Behavior Therapy and Experimental Psychiatry, Journal of Multicultural Counseling and Development, and American Journal of Dance Therapy. She lives in Denver, Colorado, with her wife Erin. CHRISTINE CALDWELL, PhD, BC-DMT, LPC, NCC, ACS, is the founder and professor emeritus of the Somatic Counseling Program at Naropa University, where she taught somatic counseling, clinical neuroscience, research, and diversity issues. Her work, called the Moving Cycle, spotlights natural play, early physical imprinting, fully sequenced movement processes, the opportunities in addiction, and a trust in the authoritative knowledge of the body. She has taught at the University of Maryland, George Washington University, Concordia University, Seoul Women’s University, Southwestern College, and Santa Barbara Graduate Institute, and trains, teaches, and lectures internationally. She has published over thirty articles and chapters; her books include Getting Our Bodies Back, Getting In Touch, and Bodyfulness.